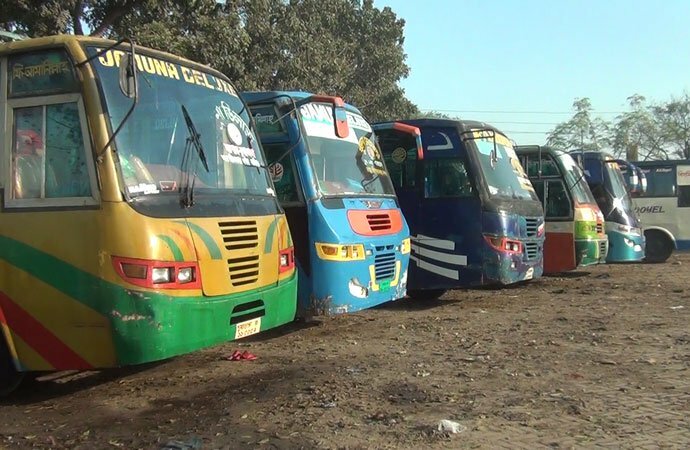 Transport owners and workers of Kushtia district have withdrawn their indefinite strike following assurance of district administration. The decision came out after a fruitful meeting with district administration on Sunday night. Rezaul Islam, general secretary of Bus Minibus Owners' Association, said that they withdrew the strike as acting Deputy Commissioner Habibur Rahman assured them saying that the transport workers will never face harassment in future. Earlier, Transport Owners Workers Association enforced the strike from an emergency meeting on Saturday. Later, other transport associations including Truck Owners Association joined the protest programme. Earlier on Friday, members of Rapid Action Battalion (Rab)-12 in a raid seized 1kg of heroine worth Tk 1 crore from Kushtia-bound bus 'BBS Exclusive Mahadi Paribahan'. Later, they arrested three transport workers - Sohel Rana, 32, bus supervisor Thantu, 36, and bus helper Sagor, 22, - in connection with the catch. Major Robiul Islam, commander of Rab-12 unit, said at a press conference on Saturday that they (arrestees) had long been involved with transporting drugs. Later, a case was filed with Kushtia Model Police Station in this connection.